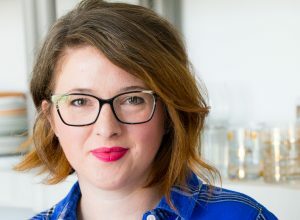 This post is sponsored by McCormick. All opinions are 100% my own. My kiddos start school tomorrow and while I have mixed feelings about my baby girl being in Kindergarten, overall I’m excited. I’ll miss their little faces, but I know they are really looking forward to getting back to school and therefore, back into a routine. They’re like me. Creature’s of habit who thrive on routine. There is only so long we can drift through summer without much of an agenda. I need a plan, people. I am all about welcoming the new school year with open arms! This summer, like the last several, has presented us with rather mild weather. The entirety of June and much of July was cool and rainy. The last month, however, has brought on the heat. And just because school is starting does not mean that the weather gets the memo and gives us a break. This is the time of year when summer and school collide and after a full day of hitting the books (or in C’s case, learning to raise her hand and follow directions) my kids are going to be looking forward to a refreshingly cool treat. And I have just the thing: Orange Cream Popsicles. These frozen pops are a throw back to my childhood with a few twists, including fat free Greek yogurt. That’s right, there is quite a bit of tangy yogurt in these cute little pops and it definitely amps up the flavor. They are sweet and tangy and citrusy and creamy all at the same time. Plus, a total breeze to make (which is a must for any family facing the back-to-school routine). The ingredient that gives these the classic orange/cream flavor is McCormick Pure Vanilla Extract. 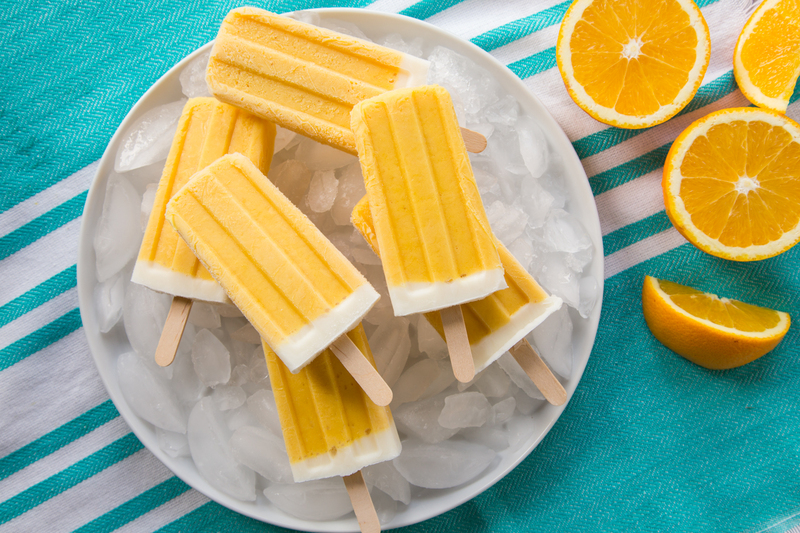 A splash of that, along with a bit of their lovely Pure Orange Extract make these Orange Cream Popsicles pretty fantastic. 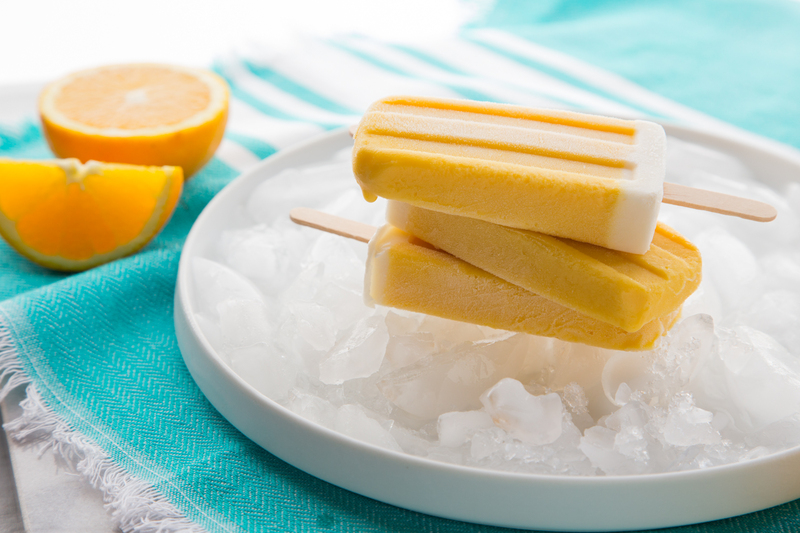 So if you’re like us and are facing a sweltering start to the school year, make up a batch of these sweet and creamy pops to have in the freezer. They will be sure to put smiles on your kiddos’ faces. In a blender, blend together remaining ingredients. Divide among 10 popsicle molds, leaving a small space at the top for the second layer. Freeze for 1 hour. Top each popsicle cavity with a spoonful of the remaining yogurt mixture. Place in sticks and freeze for at least 8 hours or until firm. Remove from molds and enjoy! I love the color on these popsicles!